According to new research, medical marijuana could be a key treatment for older adults suffering from chronic diseases and health problems. Around three out of four Americans 65 or older have multiple chronic conditions such as ALS, Parkinson’s, or multiple sclerosis. according to the Centers for Disease Control (CDC), which can cause a wide range of problematic and debilitating symptoms like pain, sleeplessness, and anxiety. 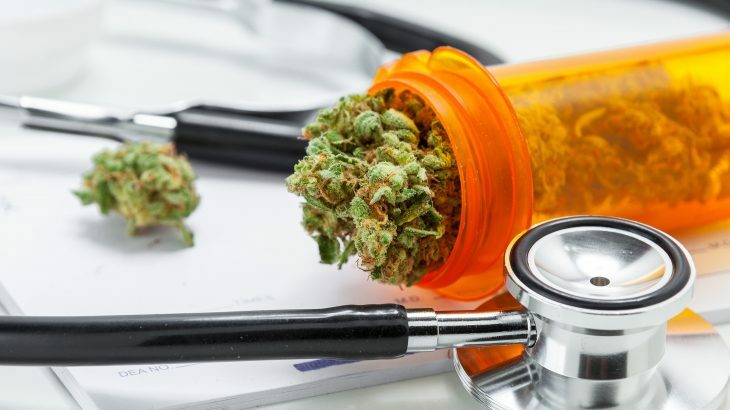 Researchers from the Dent Neurologic Institute in Buffalo, New York conducted a study examining the effectiveness of medical marijuana in treating some of the common symptoms that come from chronic diseases among older adults. The findings, presented at the American Academy of Neurology’s 71st Annual Meeting in Philadelphia, show that medical marijuana is safe, effective, and could even help reduce opioid dependency. 204 older adults with ages averaging around 81 and who were enrolled in the Medical Marijuana Program for the state of New York took part in the study. The study members took cannabidiol and tetrahydrocannabinol in various forms and dosages for four months and went to regular checkups. Upon starting the program, 34 percent of the participants reported side-effects and had to adjust their dosages, after which only 21 percent continued to see side-effects from the drug. Three percent of the participants had to stop taking medical marijuana because of the side-effects. As far as symptom relief, 49 percent experienced pain relief, 18 percent of the participants said the medical marijuana helped improve sleep, and 15 percent saw improvements in their neuropathy. The medical marijuana was so effective with pain relief that one-third of the participants reduced opioid use. The researchers note that the study was retrospective and that there was no placebo control group, so the placebo effect could account for some of the reported symptom relief. Future studies are needed to further explore medical marijuana’s impact on chronic health conditions for older adults.